At Mawson, the main power house (MPH) is powered by 4 Caterpillar 3306, turbo-charged generator sets, each of 125 kW capacity. All are fitted with Stamford alternators. Depending on the energy requirements, up to 3 of these generators run at any one time. The emergency power house (EPH) at Mawson is equipped with 1 Caterpillar V12 turbo-charged generator with a capacity of 384 kW. 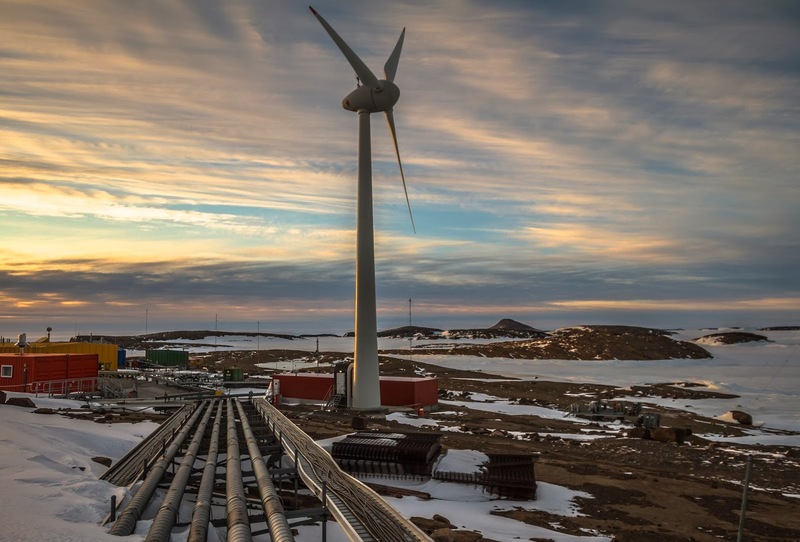 The Mawson power supply is also boosted with two wind powered turbines which can supply up to 95% of the station's power requirements in times of high winds. These two turbines reduce the amount of diesel fuel required by over two thirds, from 600,000 litres a year to less than 200,000 litres. The wind turbines also save 1,500 tonnes of CO2 a year from being released into the environment. Power is distributed around the station in a ring feed (for redundancy) on raised cable trays. Should there be a fire or a cable damaged power can be quickly distributed from another direction. it is a very important information on power generation. Pictures are also very informative. Thanks for sharing this with us!